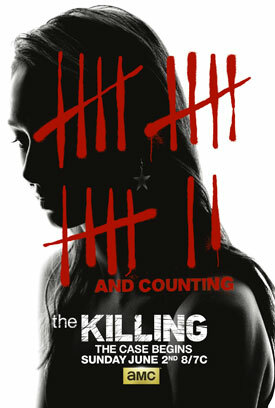 The Killing Season 3 Teaser 2. Mireille Enos, Joel Kinnaman and Peter Sarsgaard star in the new season of AMC’s crime drama series The Killing. Season three will focus on a new case, which will be resolved over the course of 12 episodes. A year after closing the Rosie Larsen case, Sarah Linden (Enos) is no longer a detective. But her ex-partner Stephen Holder’s (Kinnaman) search for a runaway girl leads him to discover a gruesome string of murders that connects to Linden’s previous murder investigation. Soon Linden is drawn back into the life she thought she’d left behind.